A resume is just a simple piece of paper, but it has to say so much about you in so little time. This is your first impression you will make with a potential employer, so you need to make sure it really stands out. 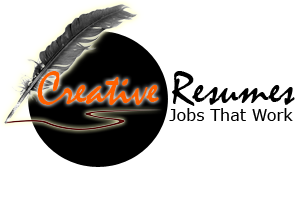 However, if your resume is not properly written, you might also stand out in the wrong way. Here are some tips to help you write a great resume and present yourself properly. All margins should be set to one inch all the way around your document. When choosing your font, use a basic one such as Ariel or Calibri that is easy on the eyes. To an employer, every second counts, so you don’t want a font that is hard to read, or your resume will likely be quickly passed over. Also, using bold, italics, and underlined words to emphasize important things can help make your resume easier to read with the vital information standing out. Also, use 14-point font for headings and 12-point for the rest of the information. This section is where all of your personal information will be listed such as your name, address, telephone number, and email address. The entire heading should be listed in 12-point font except for your name which should be in 16-point bold type. Also, whether you want it justified to the left, right, or centered is all up to you. Using the chronological layout, you should show your climb up in the professional world. Start with the most recent job you have had first and go back a few jobs. List the name of the company, city it is located in, dates you were employed there, and your duties and responsibilities. Next, start listing the other recent jobs, but be sure to highlight parts from each job that show you are qualified for the position for which you are applying. List your accomplishments under a bold heading reading “major accomplishments” or “achievements” and list two or three for each job. Again, start with the most recently attended school first and list the name, state, and the degree or certificate earned. List any pertinent information such as a high grade point average or any academic achievements you received. Not every person is cast in a mold, so a resume shouldn’t be either. Each person has different skills you can list under an appropriate title in this last section. These can be “other languages” or even “computer skills” and can include things like programming languages, applications, specific programs you know. This is strictly up to you what to include and what you think would be helpful to an employer.